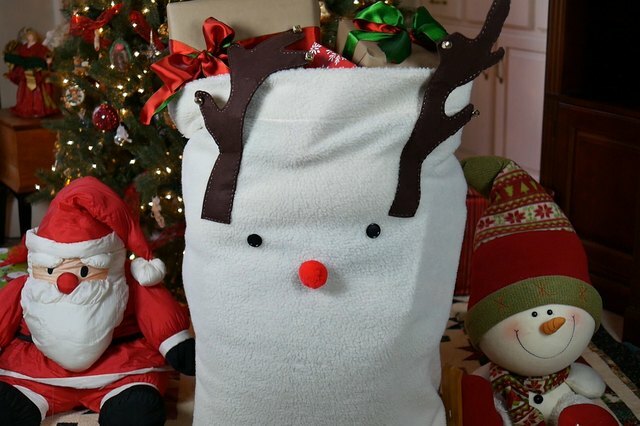 Inspired by a Pottery Barn Santa bag, this reindeer could not be easier to make. 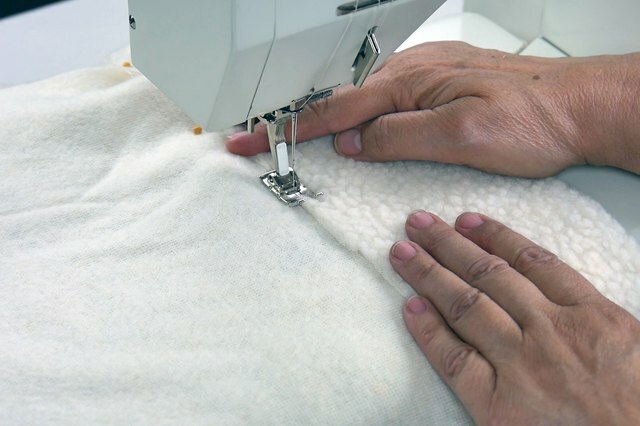 If you can stitch three straight seams and sew on a couple buttons, you've got this. 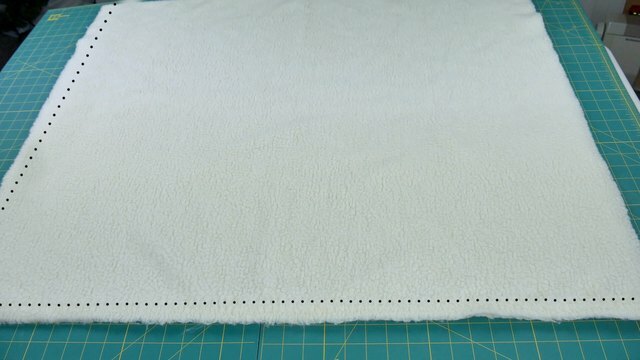 The sherpa fabric we used is widely available and very inexpensive -- especially if you catch a sale and use a coupon. We made ours for less than $10. Fold the fabric with right sides together. Stitch the length of the non-folded side. 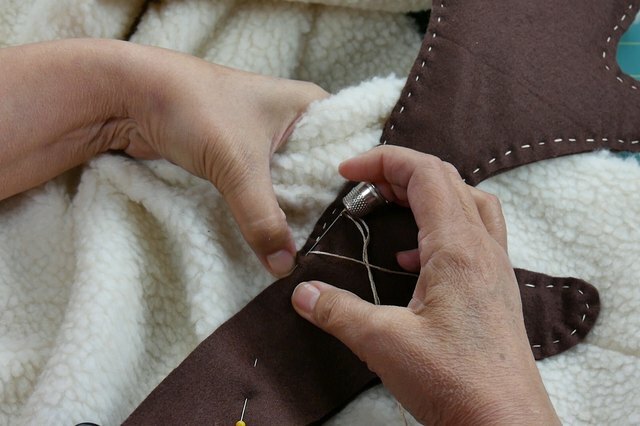 Then stitch across the width on one end. Open the long seam and fold down 4 inches. Pin in place. 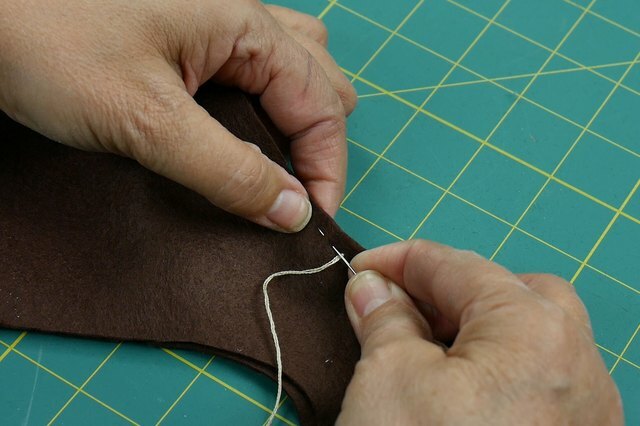 Using a zig-zag stitch, stitch down the edge of this cuff. Turn the bag rightsize out and position the buttons, approximately 16 inches from the top of the bag. Place one button at 10 1/2 inches from the seamed edge and the other 18 1/2 inches from the folded edge. Stitch in place. 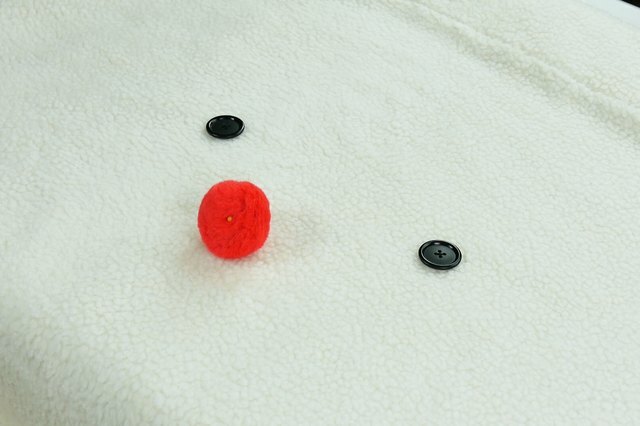 Center a large red pompom between the buttons and stitch in place. 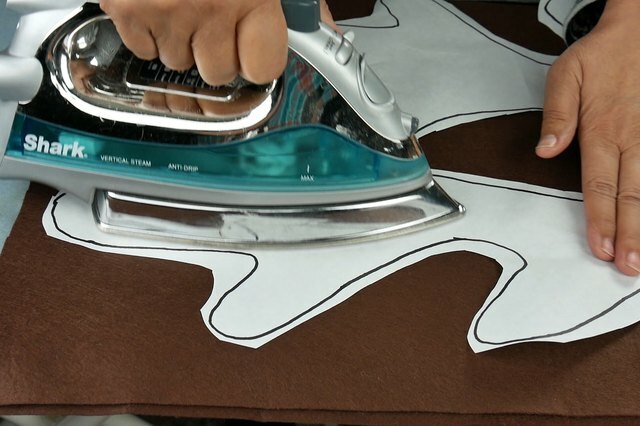 Draw reindeer two antlers on freezer paper. 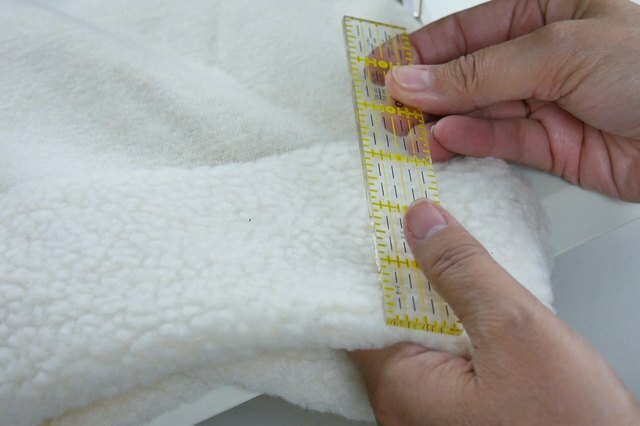 Place on two layers of felt with the slick side of the paper toward the felt. Press lightly. Cut out two sets of matching antlers. Stitch two felt antlers together, using embroidery floss and a running stitch. Start about 6 inches from the bottom of the antler and stop near the top. Draw two rough antler shapes, at least 1/4 inch smaller than the felt antlers, on the back of a cereal box or other scrap of lightweight cardboard. Cut out. 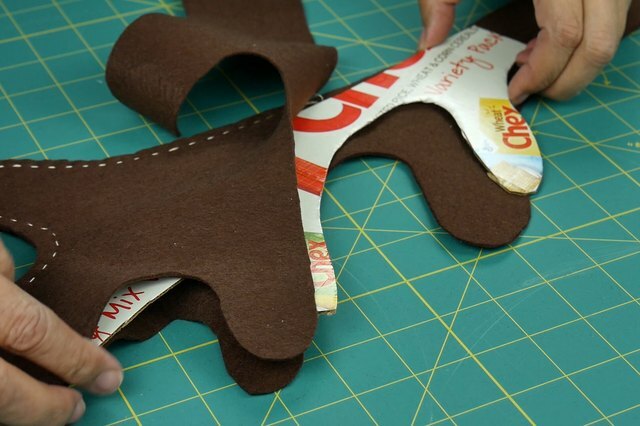 Slip the cardboard between the layers of the felt antlers. Continue stitching around the antlers until you're about 6 inches from the bottom. 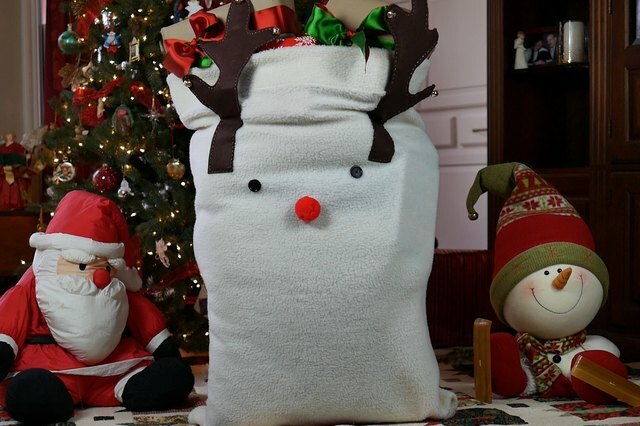 Position the antlers on the Santa bag, above and slightly outside the button eyes. Stitch the remaining edges of the antlers, catching the sherpa fleece as well as the felt. Fill the Santa bag with gifts.